A rubber carpet pad is an environmentally friendly approach to your flooring. Rubber is a sustainable product because it doesn’t involve petroleum for its manufacturing and rubber trees are long-lived, meaning lots of rubber can be harvested from them. But they also protect your carpeting from daily wear-and-tear better than many man-made carpet pads. Additionally, rubber doesn’t off-gas, making your air quality better than what some carpet pads do. This is a major problem with many other carpets, because they tend to give off vapors that are harmful to humans. Considering the fact that carpets are often installed in rooms with less ventilation, it can cause considerable health issues in the long run. A Good Carpet pad can make the best difference in how the carpeting feels to your feet and legs, and in the life of your carpet. There are several different materials that you can find in carpet padding. Rubber carpet pads come in two main varieties and they each have their own advantages and disadvantages. What are the two varieties of rubber carpet padding? Waffle rubber and flat rubber are the two most common rubber carpet pads you can find. Waffle rubber carpet pads feature a waffled weave that incorporates air to help give it cushioning and softness. This was once the most commonly used pads in carpet installation. The waffled texture of the half-inch rubber helped to give cushioning to absorb some of the impact from normal walking and traffic. Rubber carpet pads of the 1970’s and 80’s broke down very quickly making the pad ineffectual at protecting the carpeting. Their construction and durability has improved over the last twenty years, however, which helps to make the waffled rubber carpet pad a good choice, but not necessarily the best one. Still, there are a lot of people who go for it considering its vintage value and the unique look it gives the room. Flat rubber carpet pads are more expensive and harder to find than a waffle rubber carpet pad. The 19- to 22-pound density of flat rubber carpet padding is one of the only carpet pads that may last through more than one carpet installation, which is quite unusual. This carpet pad may seem a lot more expensive than the other types of carpet padding that are available, but one thing that you may want to consider is that it may actually help your carpeting to have a longer life, which will more than make up for the additional cost. 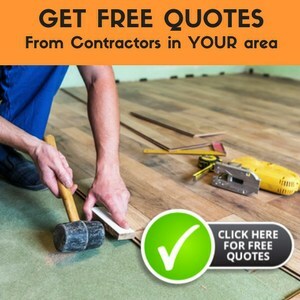 This is something that you will want to consider, especially if you are choosing high quality, expensive carpeting, because it can help to increase the life of the carpet and the value of your investment. A lot of people have realized the difficulty in repairing and changing the carpets every few years. It takes considerable effort and time, not to mention the costs. Therefore, by giving your beloved carpet a good padding, you can save on all this. Without a carpet pad, carpeting wears out faster, causing you to have to replace it sooner, not getting maximum value out of your investment. Why is this? Carpet padding acts as a buffer between the carpet and the subfloor. Without it the carpeting come into direct contact with the subflooring causing the carpeting to take the abrasion carpet pads are designed to take. Thus they wear out much quickly. This is especially the case in places where the carpet comes in touch with regular moisture and water. For such floors, it becomes essential that you install a vapor barrier to give the carpet the longevity it so deserves. A lot of people have gone for this option because it keeps your carpet safe and dry, thus allowing people it to use it comfortably and without any issues. Carefully consider the density and material of the rubber carpet pad to ensure you make the best choice for your situation. Determine which rubber carpet pad will best fit your needs to ensure you get the most life out of this investment as possible. Where do you recommend buying flat rubber carpet padding? Where can I find a flat rubber carpet padding? I have several huge area rugs (9 x 12 feet) and I can’t find this type of padding.